I was checking out my account at Thrills and noticed something amazing. 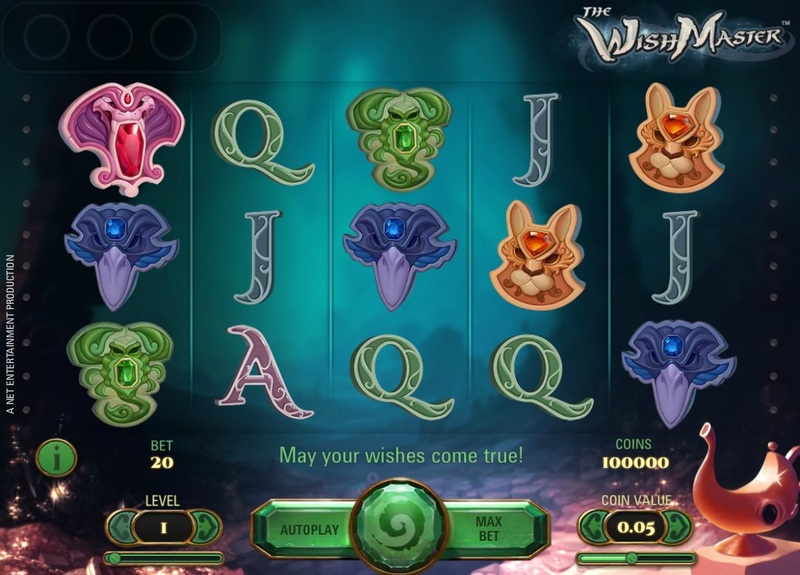 The new NetEnt slot game The Wish Master is already available at Thrills. The Wish Master is the latest release by NetEnt and comes with 20 paylines and a hell of a lot of cool features. Any magic lamp that lands on the reels will award a random feature like random wilds, multipliers, expanding wilds and much more. These added features are not free, you have to pay for each spin as normal play. But features can add up, every time a lamp lands a feature is added up to a total of 3 features at the same time. Each feature will stay active for a certain amount of spins. The Wish Master is a really cool game with an amazing soundtrack. I am enjoying this game very much! Hurry up to Thrills and be the first one to play this great new NetEnt slot. Check out my earlier post if you want to see a gameplay video for The Wish Master.